Discussion in 'NR2003 General Discussion' started by burtonbraves, Mar 28, 2013. If I could just find the time, I'd totally make up my own fictional racing league! Opposite problem over here! So much painting, so little racing. Thanks! Just my own little set for my own little league(s) in my own little world. Started out with a Cup-like series, added in IndyCars down the line once I was able to get some tracks to work well enough, thinking of other stuff to add in. Finding myself running this for a sixth season (started set in 1990, but spattering of written history back further) with the probably unrealistic goal of "catching up" to modern times. It rather cathartic to have a little enclave to create my own histories. I've thought about making my stuff public, but for expediency and period-accuracy (or more cynically lack of creativity), I've just lifted a lot of resources (liveries, driver names, etc.) from different places and just adapted them for myself. So maybe one day I will, but for now, nah. But it is the one thing NR2003 that I sink the majority of my time into nowadays, when my schedule permits. Like managing real life drivers, you kinda gotta play into their already-existing histories, personalities, and statistics. I find it cooler if I can just create all that myself. That's one of the reasons I really dig your fictional 70s-90s sets @Thunder98. Got a lot of stats saved up. Owner points, records, a promotion/relegation style rating system for each active series, etc. Would you mind sharing this set? I'd love to check it out, that 28 and 5 got my attention! Come on, man, read the guy's post more carefully. So maybe one day I will, but for now, nah. Haha yeah, not gonna happen, at least not until I run more seasons and have more work that's actually "mine." 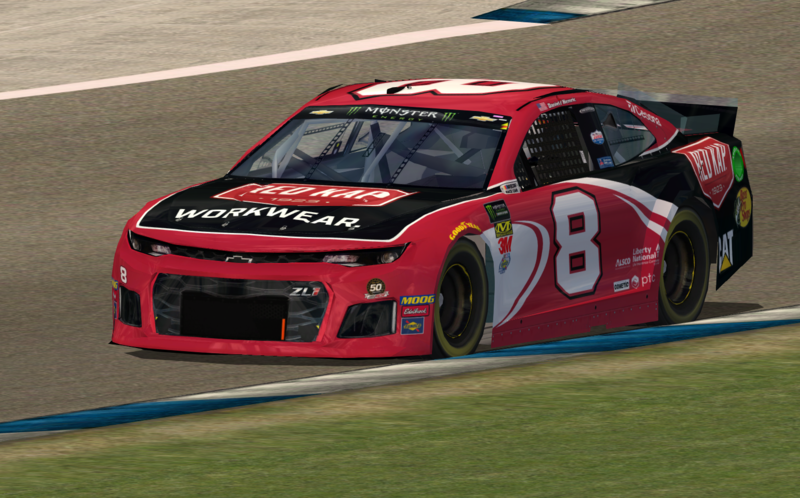 Like I said, a lot of it was made in the haste to get my stuff going quickly, so there's some liveries that I can take no creative credit for (a couple of yours in fact @Thunder98 I'm pretty sure), so won't put 'em out there. Probably a greater chance of sharing my IndyCars at the present time than these. 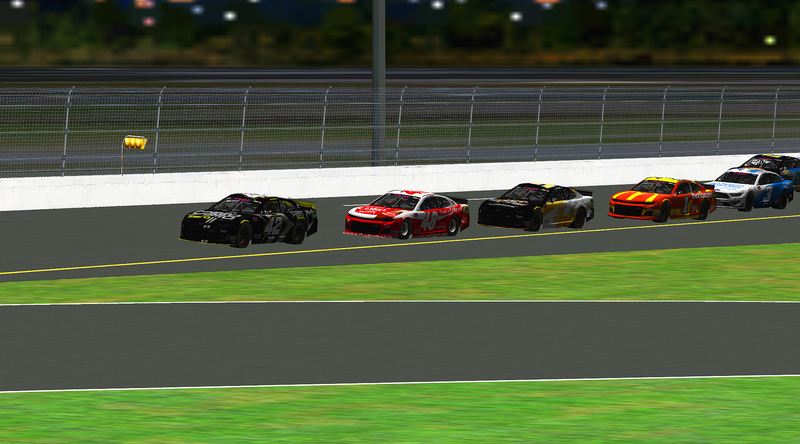 USSTalladega, joeykraus19, Buescher37 and 6 others like this. Playing in 1080p for the first time and having 60fps. Absolutely loving it. USSTalladega, Bazmeister, Hendrick4life and 15 others like this. From my ai simulation at the BBMC Chicagoland Night. That's a Duel #2 Win! I'll start 3rd for the 500. Buescher37, USSTalladega, nachod14 and 3 others like this. 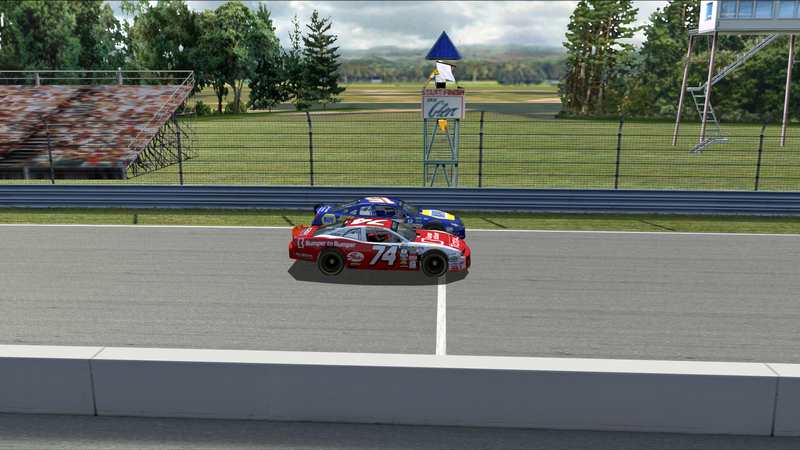 Michael Waltrip and Kevin Lacroix fighting for the lead with one to go at the Glen. Waltrip ended up giving going into the esses but was able to beat out Marc-Antoine Camirand for second by about as big of a margin. USSTalladega, Shockey Rai, matheus357 and 3 others like this. Championship Race for the Red Rocket Truck Series. 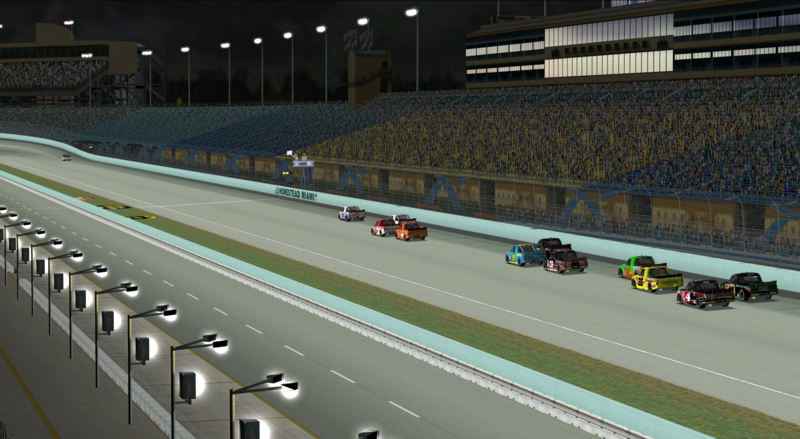 A thrilling race, just one non-caution clock related caution period, and a generally clean, hard race among the four championship contenders. That is, until the #17, race leader, and at this point champion as they run, gets about 100 feet from the start finish-line, when the caution comes out. 101 feet later and 17 wins the championship and the race. 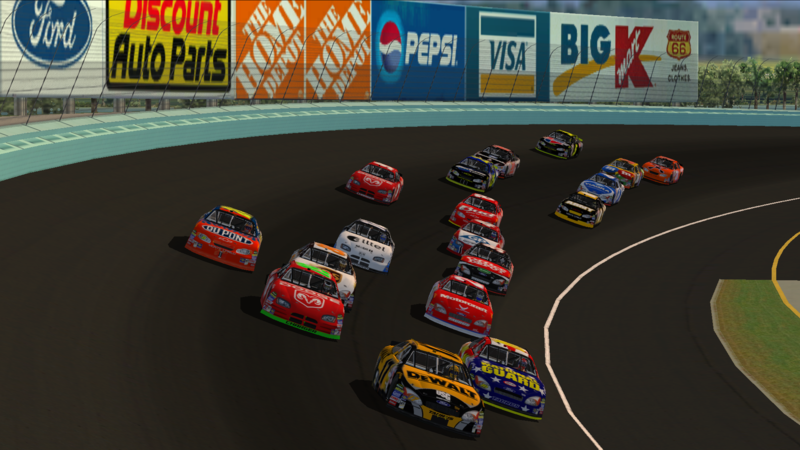 Instead, the race goes into overtime, and the 17 finishes second to the #13, who wins the race and the championship, while the #4, finishes third in the race and championship, after winning the regular season in dominating fashion despite never winning a single race. What caused the caution? The #98 - the fourth championship contender, had a tire problem, and collected the #11 truck who slammed the wall particularly hard. 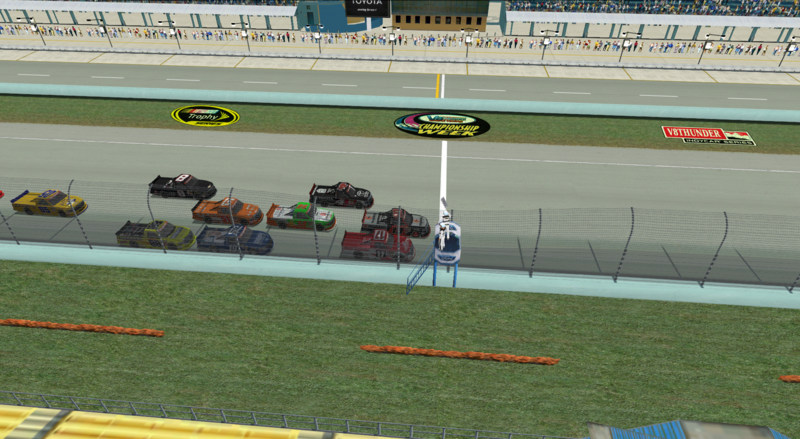 Here's the moment the caution waved, and then the finish. joeykraus19, USSTalladega, matheus357 and 1 other person like this. I decided to take @Thunder98's 2006 Testing Set to the Kentucky track he made a while back. My god the track looks absolutely gorgeous. joeykraus19, USSTalladega, DaleTona75 and 6 others like this. 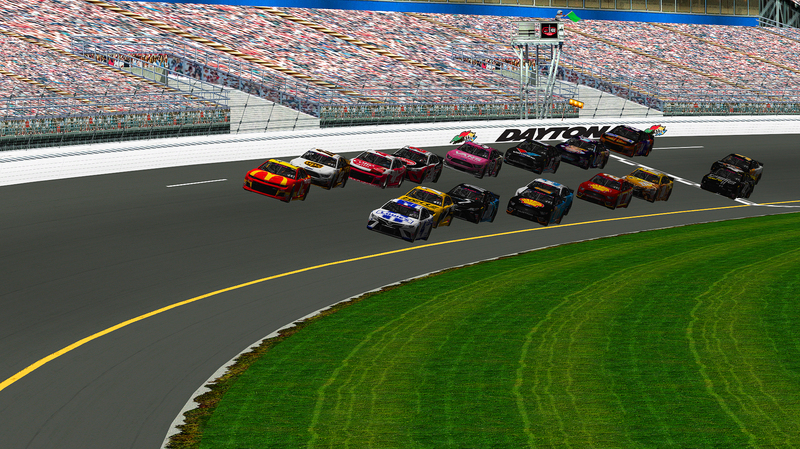 After a big crash took out half the field...wE wOn tHe Daytona 500! 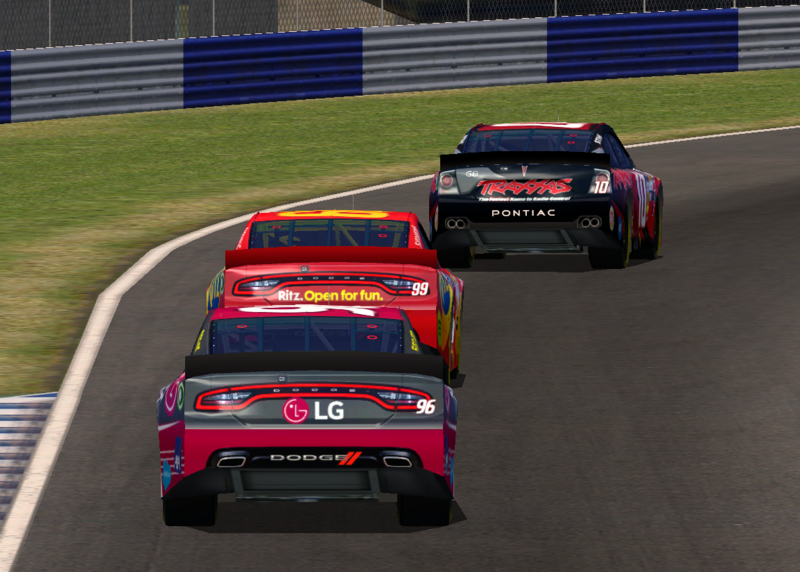 joeykraus19, USSTalladega, matheus357 and 3 others like this. MWick4, Andy22, Tetronix and 13 others like this. Random fun with the stock Cup90 cams. Buescher37, DaleTona75, Thunder98 and 1 other person like this. Wrecked 4 times. Lost 4th gear on a plate track. 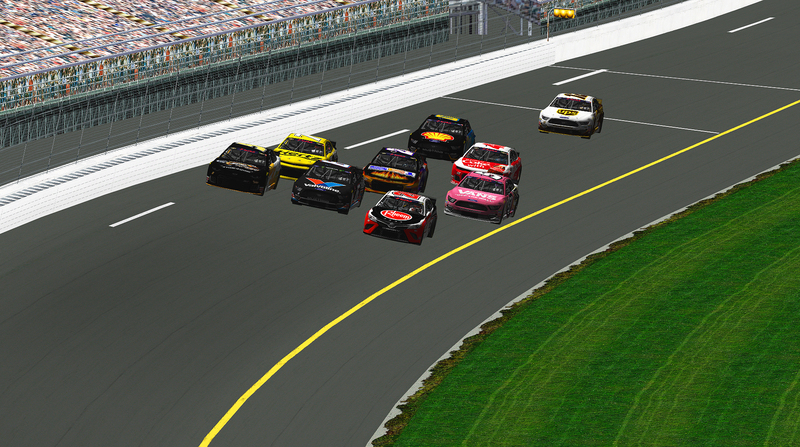 joeykraus19, dalejr88rox, Shockey Rai and 7 others like this. joeykraus19, dalejr88rox, GambitJon and 7 others like this. 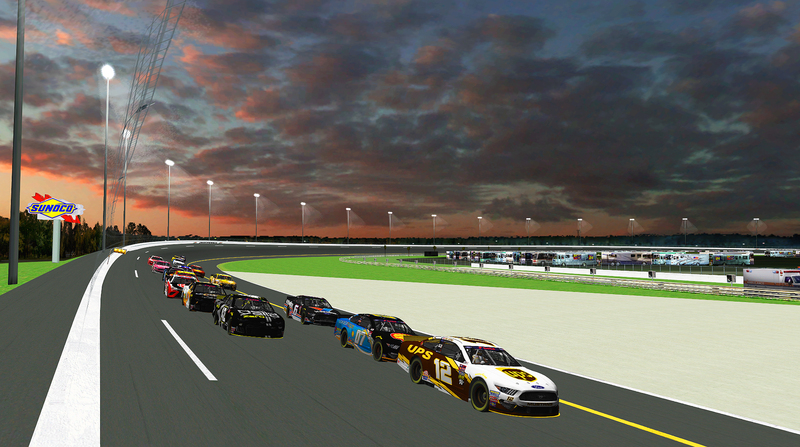 joeykraus19, dalejr88rox, CJL5 and 7 others like this.